Deal with phobias and disproportionate fears with Counsellor and Therapist, Anne Goodman, in person or online. An irrational, intense fear that is out of proportion to an event or situation. Using a combination of EFT, NLP, Hypnosis, Visualization, and Time Based Therapy, Anne will help you to easily release any phobias you have. Many Phobias take only 1 or 2 sessions to resolve, unless there is a deeper Core Issue involved. In this case, it can take a little longer to resolve the phobia. According to the Institute of Mental Health, approximately 8.7% of people, or about 21 million North American adults, suffer from one or more specific Phobias. We don't know exactly how a Phobia develops, but we do know that Phobias are rooted in the normal Fear Response. The normal Fear Response is also called the 'Fight or Flight' response. It's an absolutely necessary component of being human, designed to keep us safe. Fear causes the brain to send signals to the adrenal glands which start pumping large amounts of adrenalin into the bloodstream. This increases the heart and breathing rate in preparation for fighting, or running. However, our Fears need to be in proportion to the situations they're related to, and they should resolve when the situation is complete. A phobia is more fear than is necessary to keep us safe, and doesn't resolve. Sometimes a person experiences the Phobia when just thinking about the situation. Fear of Public Speaking - It's been reported that up to 75% of people have some degree of nervousness or anxiety about speaking in public. 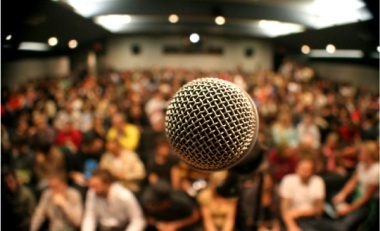 Different aspects of public speaking can be a fear of being judged, of being wrong, or of not being good enough. Fear of Spiders - Arachnophobia. Affects more women than men. Fear of Insects - Entomophobia (also known as Insectophobia). As above, affects more women than men. Fear of Snakes - Ophidiophobia - Fear of Snakes is often attributed to evolutionary causes, personal experiences, or cultural influences. Fear of Heights - Acrophobia - Fear of Situations From Which Escape is Difficult - Agoraphobia, crowded areas, open spaces, or going out. Approximately one third of people who experience panic attacks or anxiety develop Agoraphobia. Fear of Dogs - Cynophobia - This phobia is often associated with specific personal experiences, such as being bitten, chased or scared by a dog as a child. Fear of Thunder and Lightning - Brontophobia, Tonitrophobia, or Ceraunophobia. Fear of Needles or Injections - Trypanophobia. Especially noticeable in dental situations where freezing is necessary, or medical situations such as blood tests or vaccinations. People with this fear may tend to avoid these situations. Social Phobias - Fear of Social Situations. People may avoid events, places and people that trigger an anxiety attack. This could be or include Fear of Crowds, or Fear of What People Think of You, Fear of Judgement. Also connected to Fear of Public Speaking. Fear of Clowns - Coulrophobia. Fear of Being Trapped in Confined Spaces - Claustrophobia. Fear of Vomiting - Emitophobia. 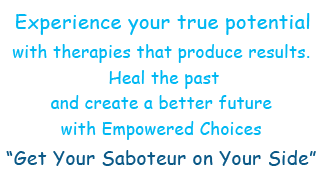 Change negative emotions, limiting beliefs, and unwanted habits using EFT, NLP, Time Line Therapy, and Hypnosis with a compassionate and experienced Counsellor. "I went to see Anne Goodman for a Fear of Public Speaking that I'd had since Middle School. It was getting to the point where I was holding myself back from advancement in my company and career, and was really limiting me. "After 2 visits, the Fear was almost gone, but there was still something there. I could have lived with that, but really wanted to get rid of it completely. We discovered it was connected to the unreasonably high expectations my parents had of me, and them comparing me to my older sisters. That took 2 more sessions, and I'm now 100% confident speaking in public. During the past year, I've had a promotion at work, and regularly speak in meetings and at conferences. An added bonus is that my relationship with my parents has improved dramatically!" 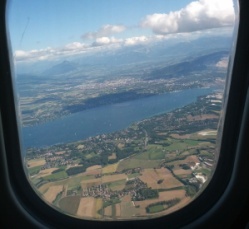 "I came to see Anne for a Fear of Flying I'd had since I was a child. I was planning a long trip with my fiance, and was so afraid that the Fear would affect our plans. "I came for 1 session, and it felt a lot better. But as soon as I went home and started packing, it came back. During the second session, Anne said something about 'control', and I realized that was it. She said something to me in a really sarcastic tone about how safe everyone in the plane would be if I was the pilot, and the fear completely disappeared. It just popped and was gone! It seemed so ridiculous for me to be the pilot! "Our trip was great and I was fine the entire time. Thanks Anne. I can't believe it was so easy and painless." "When he was 7, my son developed a fear of dentists and of needles so we went to see Anne Goodman. In only 1 session the fear was entirely gone and he went to the dentist with no problems. That was years ago and recently I reminded him about it, and he didn't even remember having the fear!" I have always shied away from confrontations, tried to accommodate people - even if I didn’t agree with them - and tried to please everyone around me, except myself. I needed to find an explanation for my behaviour. A friend referred Anne to me and I started to learn all about myself; a very interesting experience in itself!